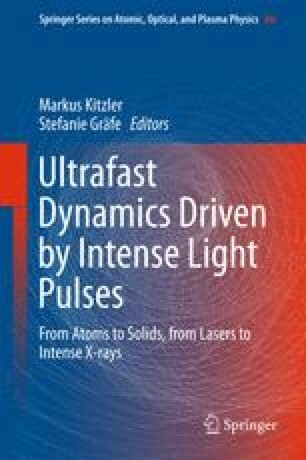 In this chapter, we introduce the recent developments on the infrared (IR) laser assisted photoionization and photoabsorption experiments and the theories briefly, then present a detailed theoretical method to simulate the IR assisted dynamics by a single attosecond pulse or an attosecond pulse train in the extreme ultraviolet (xuv) regime. The key steps to understand IR assisted atomic photoabsorption processes are (1) the IR laser field modifies an atomic excited and continuum state as a dressed state or Floquet state, (2) the xuv pulse excites the atomic ground state to a Floquet state through different Floquet components. The interference between the transitions to a Floquet state through different components plays the center role to understand the oscillatory structures or control the dynamics of IR assisted photoabsorption processes. Two examples, IR assisted photoionization and photoexcitation of H atoms by xuv pulses, are presented. Existed and possible future applications are also discussed. This works was supported by a Grand-in-Aid for Scientific Research (C24540421) from the Japan Society for the Promotion of Science and part of the simulations was supported by HA-PACS Project for advanced interdisciplinary computational sciences by exa-scale computing technology.